In order to advance their various causes and concerns, these groups hire individuals or firms called lobbyists to work on their behalf to influence the decisions of state and federal lawmakers. Lobbies have been a part of American history ever since Benjamin Franklin appealed to Britain’s Parliament to remove a tax on stamps in 1757. The right of any person or group to petition the government for a redress of grievances” was and is protected by the first amendment, remembering the British government’s refusal to listen to the grievances of the American colonists, which brought on the American Revolution. Today, however, many lobbying activities have exceeded the boundaries of Thomas Jefferson’s original good intention and often involve the inappropriate use of money and influence to gain advantages that are not always in the public interest. Although lobbyists have the right to appeal to and advise our legislators, only our elected officials have the right to actually write our laws. 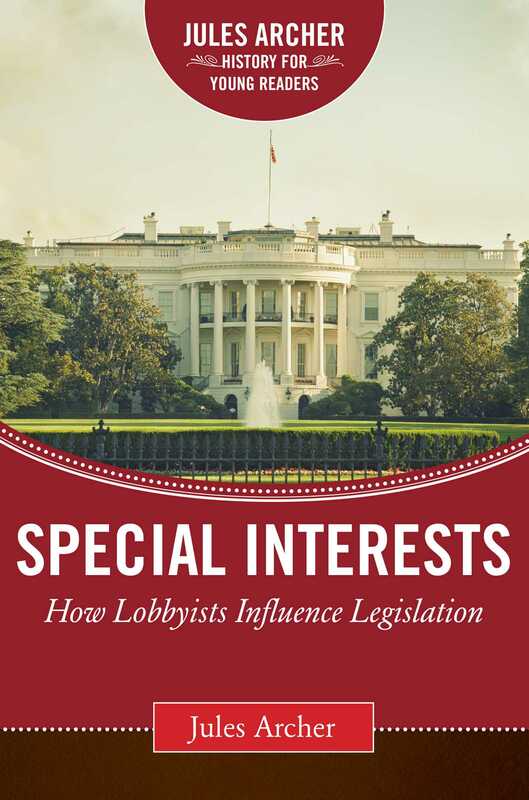 Jules Archer has written a broad-reaching description of the lobbying system in America. He describes who lobbyists are and discusses perks, PACS, and pork, and the various other means that lobbyists use to influence legislators, the public, and even the White House.